L-Zee Electrode is a leading manufacturer of Premium Quality Welding Consumables proudly Made In India. For each discipline continuous development of methods, materials and know-how is being directed to meet the challenges posed by a diversity of industry sectors. We are organized to deliver efficient, high-productivity solutions to meet customer requirements in a manner that fulfill their expectations. 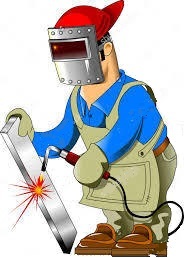 With the study of ARC welding techniques we deliver the unique solution 'Premium Quality Welding Consumables at most economical prices'.